TIF-Helexpo President Tasos Tzikas; Greek Consul General in Los Angeles Grigoris Karachalios and TIF-Helexpo CEO Kyriakos Prozrikidis. Looking to attract US business participation in the 83rd Thessaloniki International Fair (TIF), while paving the ground for future collaborations between Greek and American enterprises, Greece’s exhibition organizer TIF-Helexpo visited Los Angeles and San Francisco last week. 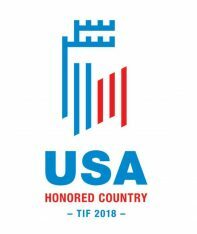 The United States will be the honored country at the 83rd Thessaloniki International Fair to be held on September 8-16, and TIF organizers are visiting several states making contacts ahead of the significant business and economy event. The issue was also discussed last year during a joint press conference with US President Donald Trump during Greek Prime Minister Alexis Tsipras’ visit to Washington. In Los Angeles, TIF-Helexpo’s president, Tasos Tzikas and CEO, Kyriakos Pozrikidis met with representatives from chemicals, technology, energy and IT companies as well as with members of the American Hellenic Council of California. The TIF-Helexpo delegation also visited San Francisco, where officials met with the Specialty Food Association (SFA) and signed a Memorandum of Understanding concerning the promotion of Greek products on the US market. Meanwhile, a mission of US food businesses will be attending the 83rd TIF, while a number of Greek food industries will be participating in the Summer Fancy Food Show on June 30-July 2 in New York, where Greece is the honored country.